To create the ultimate online directory for the Indian Business Community in Hong Kong, while at the same time developing new business tools to maximize the use of this invaluable resource. As technology changes, so its impact on your business changes too. 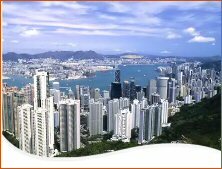 That’s why we have developed this site, the next wave of tool to help you market your business more efficiently and keep you better informed about the industries that are leaded by our fellow Indians in Hong Kong. We have the expertise, the passion and the competitive strength to achieve this goal together with your support. We hope, this service will cover all business sectors and will provide up-to-date information for you to access with absolute ease. It is our vision to be the leading business network service that unites all Indian businesses in Hong Kong on one user friendly and easily accessible website.